A warm, peaceful and inviting practice doesn’t just happen. These attributes are the result of our commitment to our clients, the effective care we provide, and the growth of our ChiroWay community that comes from referrals by our current clients. Encouragement: friends and family need encouragement from those closest to them. Challenge: friends and family help challenge each other to make a positive change. Motivate: friends and family get motivated when they see you succeed with your life. Listen: friends and family open their ears and their opinions to the ones they trust most. Support: friends and family want to support the same passions, hobbies and businesses that you have had a positive experience with. Improvement: friends and family make healthy choices and habits if you lead by example. Influence: friends and family trust the influence of those they trust most. 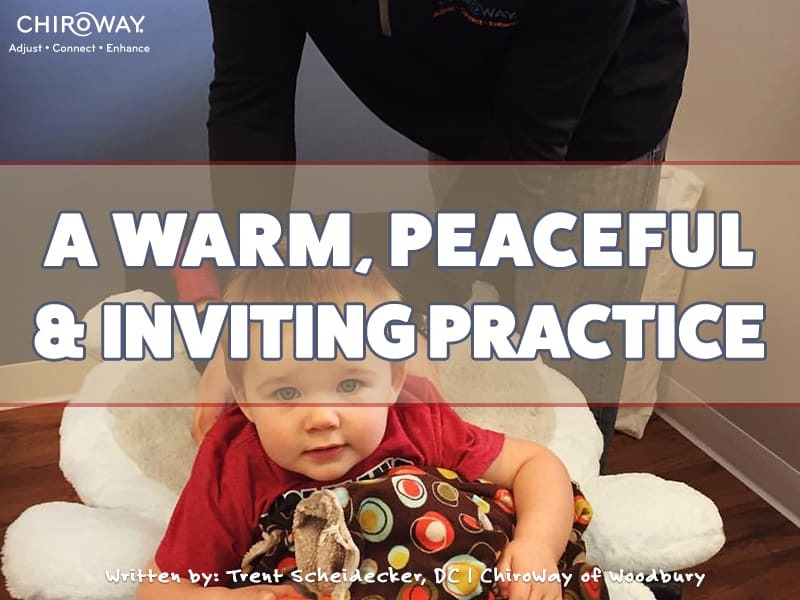 Help us continue to make our practice warm, peaceful and inviting by sharing your positive experience with friends and family!